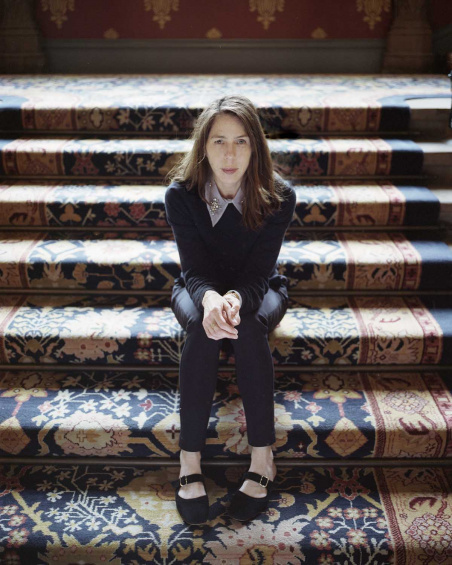 Rachel Kushner will be featured as the 2018 Visionary Speaker. This year marks the tenth anniversary of the Stuart Regen Visionaries Series, an annual program honoring individuals who have made major contributions to art and culture and who are actively imagining a better future. On Tuesday, October 30, Kushner will appear in conversation with poet and novelist Ben Lerner in the New Museum Theater. A brilliant, insightful writer, Kushner is widely recognized as one of the most original and compelling voices of her generation. Simultaneously presenting raw, intimate portraits of her characters and analyses of the society that shapes them, her work is unwaveringly relevant—always of its time, even when reflecting on another. Kushner’s latest novel, The Mars Room (Scribner, 2018), is included on the shortlist for the 2018 Man Booker Prize. Kushner is also the author of The Flamethrowers (Scribner, 2013), which was a finalist for the National Book Award and one of the New York Times’ top five novels of 2013. Her debut novel, Telex from Cuba (Scribner, 2008), was a finalist for the National Book Award and a New York Times bestseller and notable book. The Strange Case of Rachel K, a collection of her early work, was published by New Directions in 2015. Her fiction has appeared in the New Yorker, Harper’s, and the Paris Review. A longtime contributor to Artforum, Kushner has also written exhibition catalogue texts for institutions around the world, on artists such as Cy Twombly, Jeff Koons, Thomas Demand, Alexander Kluge, Terry Winters, Laura Owens, Seth Price, and Wade Guyton, among others. She is the recipient of a 2013 Guggenheim Fellowship and the 2016 Harold D. Vursell Memorial Award from the American Academy of Arts and Letters. Her novels have been translated into eighteen languages. Ben Lerner has received fellowships from the Fulbright, Guggenheim, and MacArthur Foundations, among other honors. He is the author of two novels, 10:04 (Picador, 2014) and Leaving the Atocha Station (Coffee House Press, 2011), as well as three books of poetry—Mean Free Path (Copper Canyon Press, 2010), Angle of Yaw (Copper Canyon Press, 2006), and The Lichtenberg Figures (Copper Canyon Press, 2004)—and a work of criticism, The Hatred of Poetry (Farrar, Straus and Giroux, 2016). Recent collaborations with artists include Blossom with Thomas Demand (MACK, 2015), The Polish Rider with Anna Ostoya (MACK, 2018), and The Snows of Venice with Alexander Kluge (Spector Books, forthcoming 2018). This year’s Visionary lecture marks the tenth anniversary of this annual program, initiated in 2009. Previous Visionary speakers include explorer Erling Kagge (2017); essayist and critic Fran Lebowitz (2016, in conversation with filmmaker Martin Scorsese); critic and author Hilton Als (2015); Darren Aronofsky, Academy Award–nominated director, screenwriter, and producer (2014, in conversation with novelist and critic Lynne Tillman); Matthew Weiner, writer, director, and producer of Mad Men (2013, in conversation with writer A.M. Homes); artist and architect Maya Lin (2012); Alice Waters, chef, author, activist, and proprietor of Chez Panisse Restaurant & Café (2011); Jimmy Wales, founder of Wikipedia (2010); and legendary choreographer Bill T. Jones (2009), whose talk inaugurated this signature program. The Visionaries Series is made possible by the Stuart Regen Visionaries Fund, established by a gift from Barbara Gladstone. Additional support for the Visionaries Series is provided by the Charlotte and Bill Ford Artist Talks Fund.